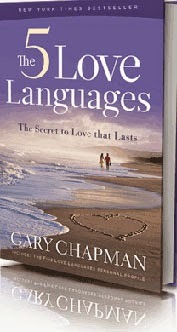 Dr. Gary Chapman has been a big help for a thousands and thousands of relationships since his book “The Five Love Languages” went out. It’s a must read book for everyone who is married. Love language is the things you have to see, hear or get so you will feel loved. Chapman shares five of these that we all know and have but one of them is dominant yet that’s different for every person. It’s easy to know your own love language but your partner may have a different one. And to continue to have a successful relationship, you should find out and regularly do with love what makes him or her feel loved by you. To you it may seem pointless, but to the person you love it may mean the world! The book is simply amazing! Chapman writes from experience and from the heart. He really talks to you and not down on you but still is able to impart a lot of really significant lessons that we all need to be reminded of. All relationships go through a rough patch and for some, even more than just a patch and these insights could drastically change someone’s life in an instant. The best thing about it is that it’s Bible-based. The Bible is the greatest book of love ever written and when we get tips and tricks from it and we include God in our relationships, we will almost never go wrong. We will be capable of limitless love just like how God loves us unconditionally. Chapman intelligently uses Bible stories and relates them to our marriages. It’s like the decryption of the parables of Jesus for us. Chapman almost guides the reader’s way in, through and for marriage. He makes you realize the things you do and think wrong and provides not only wise suggestions on how to go about it, but also provides strong Biblical foundations for your relationship with God and with your spouse. We have to acknowledge the fact that marriage is difficult but with the right formula: God + You = Joy, everything we do in our lives, especially—but not limited to marriage, will be nourished continually and eventually flourish. The book gets four out of five bright stars from me. It’s a read that addresses emotional, relational, and most of all spiritual aspects of our life. We learn from Chapman that happy marriage doesn't just happen. It’s a work in progress of two individuals who love God and love each other unconditionally.